The no obligation phone consultation applies to both domestic and business customers in the South London area. No vermin control job is too big or too small for us to take a look at. Where applicable we can advise on any immediate action required to safeguard your well being, property or possessions prior to a visit. 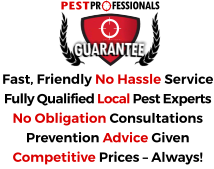 If a visit is called for we let you know if there will be a call out charge and also advise on the likely rates of any vermin removal work should it be necessary. Many of us picture rats when we hear the word ‘vermin’, however in actual fact it applies to any pest or nuisance wild animal that impacts on people by spreading diseases or destroying crops and livestock. Rats were of course responsible for the Black Death or bubonic plague, or to be exact it was in fact the rat flea that initially transmitted it. To this day rodents carry a micro-organism that causes leptospirosis. The micro-organism lives in the rat without causing illness, but if passed onto humans either by direct contact or by means of contact with surfaces of water contaminated, for instance, with rat urine, it can lead to the sometimes fatal form of leptospirosis known at Weil’s Disease. The introduced North American grey squirrel is in fact a rodent and is a significant pest on tree plantations, where it strips back bark and creates acute harm to young trees. Grey squirrels also have a tendency to get into loft spaces in residential properties where they will cause much damage, including to electrical cables. Rabbits aren’t strictly speaking vermin, but they do create various difficulties for the agricultural industry. It’s estimated that wild rabbits caused in excess of Ã¢ï¿½Â¤ 50millon in damage to agricultural crops in the UK each year, and sometimes there is no choice but to control them either with exclusion or extermination methods. Indeed UK landowners have a legal liability to control them. There are many approaches to vermin control, each of which is bespoke to the problem pest. 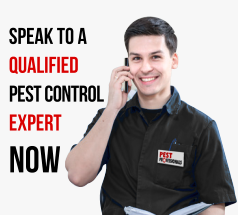 Call one of our Pest Professionals for a totally free, no obligation consultation. Carries leptospirosis which can be passed to people via its urine and which can cause the potentially fatal Weil’s Disease. Attracted to houses by the potential of food and shelter. Cause destruction to buildings by chewing through walls and often are the cause of fire risks by chewing through electrical wiring. A serious problem where clear, flat, grass surfaces are required such as lawns, golf courses, formal and domestic gardens, bowling greens, racecourses and cricket pitches etc. A serious pest on tree plantations and also typically causes significant damage when in domestic loft spaces. If you need sound advice or a rapid solution to a vermin problem anywhere in South London or the nearby Boroughs – get in touch.